Looking for a holiday treat that no one else will be bringing to the annual pot-luck? Fudge is a classic choice, but this spin will have everyone grinning over how “healthy” it is. There is no added sugar and it uses unsweetened chocolate, an antioxidant powerhouse. No one will know that it uses dates, unless you tell them. I’ll leave that decision up to you! It definitely is a seasonal recipe, since you can only find Medjool dates this time of year. But you can get them just about anywhere, even Costco! Or if you are a Trader Joe’s fanatic like me, you can find all the ingredients (even the ghee) there. This was one of my favorite recipes when I was pregnant, and I’m making it again now that breastfeeding is making me even more hungry. 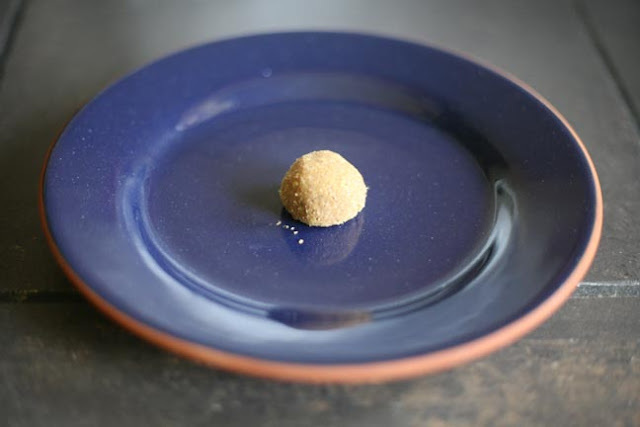 The bite-sized morsels are perfect for tiding me over between meals, and fill me up enough that I snack less. Plus, there’s just enough sugar to satiate my sweet-tooth. You can adjust the amount of sugar based on your taste, so it’s a good recipe for anyone avoiding the sweet stuff. My nieces loved this energy-packed snack as well, so it’s kid approved!